THE IRISH FARMERS Association (IFA) has accused SuperValu of acting “unethically” with one of their special offers, which gives customers 2kg of potatoes and 850g of carrots for free when they buy a round roast. The beef in question is already promoted at a discounted price, and the IFA believes it is another example of why political intervention is needed to ensure farmers are getting a “fair share” of the consumer price. In response, SuperValu said that they fund the cost of this promotion themselves, and they remain committed to work with their suppliers “to build long-term, sustainable partnerships”. IFA President Joe Healy said: “In this case, there isn’t even a consumer price to get a share of. It demonstrates the need for a clear ban on below-cost selling of food. This sort of stunt is a race to the bottom. Farmers have little or no market power and they will ultimately bear the brunt of this type of unethical price promotion. He also said that retailers “cannot pretend” such price promotions do not have serious consequences for the sales of other competing fresh products such as broccoli and cauliflower. Healy added he is seeking an urgent meeting with SuperValu to address these concerns. In response to a request from TheJournal.ie, a statement from SuperValu said: “The current promotional offer, designed as part of our ongoing effort to encourage customers to cook with Irish produce, has been planned and agreed in consultation with our suppliers. The entire cost of this promotion is funded by SuperValu. Email “Farmers furious at SuperValu 'stunt' which gives away free carrots and potatoes”. 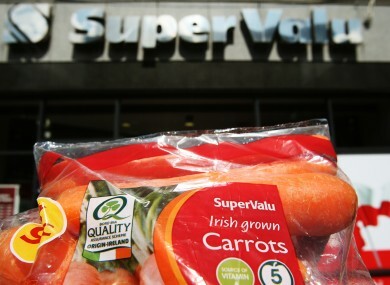 Feedback on “Farmers furious at SuperValu 'stunt' which gives away free carrots and potatoes”.